comes as a complete kit for one car. set of 6 hoses. Made of stainless steel of the highest quality. 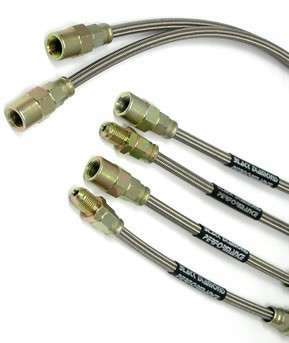 - Ideal for High temperature track day applications.